I hate to keep picking on Philip Klass, but I’ve just stumbled on another of his solutions and thought we might look at it. Back in 1975, at Loring Air Force Base in Maine, Sergeant Steven Eichner, was working with Sergeant R. Jones, when Jones saw a red and orange object over the flight line. To both of them the object looked like a “stretched out football” that hovered and then seemed to disappear as the lights went out. It reappeared over the north end of the runway, moving in what they described as “jerky motions.” They began to give chase, maybe just get closer for a better look, and when they turned onto the road that led to the weapons storage area, they saw the UFO some 300 feet in front of them. It was about five feet off the ground and the air around it seemed wavy, such as heat coming off a desert highway. They saw no doors, hatches or windows on it. It wasn’t long before sirens sounded and Eichner said that he saw many flashing blue lights on the Air Force security team coming at them, or rather toward the weapons storage area. They didn’t want to be close by as the Air Police tried to identify the lights and find out what was happening. That is a quick rundown of what Eichner and his buddy saw that night. I mention it only because in the newspaper column that we’re going to talk about, Eichner was mentioned and his story recounted. This gives us all a view of what happened without getting into a discussion of whether it was something from space or something from Earth. I will only note here that any messages that might have affected national security would have been highly classified, even five or six years after the event and I doubt that Klass had access to them. He certainly would have seen the regular traffic, but in this case, with someone or something attempting to penetrate the nuclear weapons storage facility, the classification of the communications would have been increased. Day wrote, “According to Klass, the cable traffic he obtained pertaining to the Loring UFO incident indicated that authorities established that a well-financed crew operating out of a motel near Moosehead Lake, was flying on the nights the mysterious object was observed hovering over Loring’s nuclear stockpile. Let’s just think about this for a moment. Klass claims that the cable traffic suggested a “well-financed crew operating out of a motel near Moosehead Lake, was flying on the nights the mysterious object was observed” but that the Air Force didn’t follow up on it. We have this helicopter (and it does sound like a helicopter meaning the maneuvers, hovering, sound like a helicopter but there is no sound associated it which is odd) which the Air Force apparently knew was flown by a crew staying in a local motel, but they do nothing about it. These guys and girls, these anti-Vietnam radicals (who apparently didn’t know that Vietnam War was over, US forces had long been withdrawn and Saigon, renamed Ho Chi Minh City, was in the hands of the communists) were attempting to steal an atomic bomb. But the Air Force didn’t follow up on it, so Klass has no proof for it. I’m surprised that Day could write this without phoning out to Loring to ask them a couple of questions. Oh, I doubt he would have gotten much in the way of an answer, but he could have asked where these radicals went after they failed to steal an atomic bomb. I would have thought a reporter would wonder why the Air Force didn’t care enough to find those trespassers and have them arrested. Isn’t deadly force authorized to keep intruders out of those weapons stock piles? I mean, if they can shoot you for trespassing, it would seem that they would want to arrest you, even if you were aiding the local economy by renting helicopters, staying in local motels, and I would guess buying food, and probably more than one bottle of bourbon. But no, even though they knew the name of the motel, and surely could have learned where the helicopter was parked and who owned it, the Air Force didn’t follow up on it… or maybe as Klass said, never made public the results of their investigation… which also seems odd. They would have arrested the people and wanted others to know what would happen if you rented a helicopter and flew it over their weapons storage facility. So, no, I don’t believe Klass’s anti-Vietnam radicals, which is not to say that aliens were responsible, only that there is no evidence of Klass’s theory (ah, but absence of evidence isn’t evidence of absence, or does that apply here?). Anyway, I thought I’d give everyone a chance to see this wonderful explanation for the Loring UFO sightings. I wouldn’t have mentioned this last paragraph, except it does provide a bit of a clue as to Day’s attitude about this, which is basically even a crummy explanation is better than no explanation. But really, I just wanted to note that he probably meant another solar system rather than galaxy. In the past we have talked about Out of Place Artifacts or as I like to call them, Out of Place Things aka OOPTHs (and no, I didn’t invent either term, that honor goes to Ivan T. Sanderson, I believe). Now we have a report, from Russia, that a piece of a gear has been pulled from a lump of coal that is dated at 300 million years… before the dinosaurs were around and before much of anything was around, to have made it. This story, which comes from the far reaches of Russia, near the borders of China and North Korea, features a man named Dmitry who was throwing coal into his furnace (my speculation about what he was doing because it is better than suggesting he found it in coal he had bought… a little motion and action to excite the reader) when he found the object embedded in the coal. Personally, I would have been more impressed if Dmitry had lived in an area a little more accessible, and if his name hadn’t been quite so common, and if we had a way of ensuring that the coal was actually 300 million years old. Sure, we’re told that the coal came from the Chemogorodski Mines and that coal from that area is reliably dated to that extreme age, but we don’t really have a good chain of custody, which means we can’t prove that the coal came from there without some chemical analysis. The other thing is that “experts” who are unidentified, except for a biologist, are saying that since this obviously manufactured object was found embedded in the coal; it must be the same age of the coal… which, of course, isn’t exactly true. The picture of the object certainly shows that it was embedded in the coal, rather than being something that was just associated with the coal. So, while this is interesting, there isn’t enough information to suggest that the gear was 300 million years old. To annoy my skeptical friends, I will say that if this gear was, in fact, 300 million years old, this would be some good evidence of alien visitation… though you could say it says something about the evolution of the planet. Maybe another intelligence species developed a civilization and all evidence of it except this gear has vanished. There is a much more mundane explanation for this and I think it was just a slow news day. At about 9:30 that on July 8, 1947, Colonel William Blanchard called First Lieutenant Walter Haut in his office and dictated the “Flying Saucer” press release to him. He was told to deliver the press release to the four media outlets in Roswell, that is, the two radio stations and the two daily newspapers. In what would become a discrepancy in Haut’s memory of the event, Haut would suggest at one time that he drove the release into town, and later say that he used the telephone to dictate it. Either way, the press release went out to the press, and then was put on the news wire either by Frank Joyce or George Walsh or by both of them. Walsh remembered that Haut had telephoned the press release to him “about mid-day.” He said he copied the press release exactly, as Haut read it to him over the phone. Walsh, in turn called it into the Associated Press in Albuquerque. From there the release was put on the AP wire and that story was published in a number of newspapers. At 2:30 p.m. (MST), Blanchard announced that he was going on leave (which, of course, makes no real sense). He would not be available to take telephone calls about the flying saucer and would be out of touch for four days. There is a document, created in 1947, that provides the exact times for some of this. According The Daily Illini, the first of the stories on the Associated Press wire appeared at 4:26 p.m. on the east coast. That would mean that the stories went out from Albuquerque, sometime prior to 2:26 p.m.
At 4:55 p.m. (EST) on the east coast 2:55 p.m. (MST) in New Mexico, the location of the discovery, that is New Mexico, is given. This bulletin, described as a “95” which is just below bulletin in importance, was repeated at 5:08 (EST) and a minute later, at 5:09, there was another repeat of the story that said the information came from a radio reporter, but the identity of the reporter was not given. At 5:10 p.m. (EST) or 3:10 p. m. (MST), there was a message that was addressed to the newspaper editors to let them know that the Associated Press had now gone to work on the story. In was about 4:30 p.m. (CST, 5:30 EST) that Johnson arrived at the Fort Worth Army Air Field. He told Bill Moore and Jaime Shandera that it was about a twenty minute trip from the newspaper office out to the airfield. He said that he routinely covered activities at the airfield, so when he reached the gate, he showed his press pass. He also had a Civil Air Patrol sticker on his car, which would have made it easier for him to enter the airfield. He had been told to go to Ramey’s office, though he normally would visit the Public Information Officer. Johnson, according to what he said, didn’t stay long in Ramey’s office because generals were busy. He said, “As I remember, I probably wasn’t there more than twenty minutes, which was not unusual.” He took the photographs, gathered some information and left. This last quote could be important. The story that Johnson wrote to accompany the pictures, contained no direct quotes from Ramey, DuBose or Marcel, but did quote Irving Newton, the weather officer called in to identify the debris. But the timing seems to suggest that Johnson had arrived before Newton had been called Ramey’s office so it is puzzling. Why is Newton quoted directly, but none of the others are? At 5:53 p.m. (EST), 4:53 p.m. (CST), there was another bulletin which had a Washington dateline but was a statement by Ramey, which had to originate in Fort Worth, which said the disk had been sent to Wright Field. What is critical here is the use of the past tense. The story didn’t say it would be forwarded, but that it had already been sent. At 6:02 p.m. (EST, 5:02 p.m. CST), the AP put together the whole story and started the transmission of the “First Lead Disk.” This story, datelined Albuquerque said, “The army air forces has gained possession of a flying disk, Lt. Warren Haught [Walter Haut], public information officer at Roswell army airfield announced today.” That new lead was to be integrated into the stories that had already been transmitted. Dallas Morning News reporters called out to the Fort Worth Army Air Field, according to them, at 5:30 p.m. (CST, 6:30 EST) and interviewed Major E. M. Kirton, an intelligence officer at Eighth Air Force Headquarters. He told reporters that “there is nothing to it… It was a rawin high altitude sounding device.” Kirton said that the identification was final and there was no reason to send it on to Wright Field for confirmation. He confirmed that the material had been flown to Fort Worth on a B-29. At 7:03 p.m. (EST, 6:03 CST), there was another “first lead” story from Washington, but this one hinted that there was nothing spectacular about the disc. It was now being identified as some sort of a meteorological device, or in other words, a weather balloon. Twelve minutes later, at 7:15 p.m. (EST, 6:15 CST), there was a bulletin that said General Ramey would make a statement on national radio. WBAP, a Dallas radio station, had arranged for the national hook up for Rameyover the NBC radio network. Major Curtan [sic, Edwin Kirton], Headquarters Eighth Air Force, telephonically advised this office that an object purporting to be a flying disc was recovered near Roswell, New Mexico, this date [July 8, 1947]. The disc was hexagonal in shape and was suspended from a balloon by cable, which baloon [sic] was approximately twenty feet in diameter. Major Curtan further advised that the object found resembles a high altitude weather balloon with a radar reflector, but that telephonic conversation between their office and Wright Field had not borne out this belief. Disc and balloon being transported to Wright Field by special plane for examin [sic]. Information provided this office because of national interest in case and fact that National Broadcasting Company, Associated Press, and others attempting to break the story of location of the disc today. Major Curtan advised would request Wright Field to advise Cincinnati office results of examination. No further investigation being conducted. Then, at 7:29 p.m. EST (6:29 p.m. CST), came another new lead for the story. It said, “Procede [sic] Washington. Lead All Disk.” This meant, simply, that the lead on the story that had been transmitted prior to this would be changed and the new lead substituted. At the Fort Worth Star-Telegram, Johnson had developed the pictures quickly and on orders from Greene, he brought out a wet print. There were others waiting for him, including technicians from Dallas who had brought in a portable wire photo machine so that they could get the pictures out over the AP wire immediately. He would say that he wrote the first story about the recovery that appeared in an early edition of the newspaper. The last line of that story became important because it said, “After his first look, Ramey declared all it was was a weather balloon. The weather officer verified his view. Johnson had been given the solution, apparently before Newton arrived to provide the final, conclusive word. But that solution had been handed to the reporter for the Dallas Morning News, not by Ramey or Newton, but by Kirton, who was the intelligence officer. This would suggest that Newton was called in to provide some drama for the other reporters who did drive out to the airfield. DuBose’s suggestion of a cover up seems to confirm the suspicions that had arisen given the timing of various press stories. The timing of statements, such as that given by Kirton to the Dallas Morning News, suggest that the weather balloon identification had been made before Newton arrived at Ramey’s office. This is an interesting statement because it is in conflict with almost all newspaper accounts that suggest Brazel had gone into Roswell on July 7. Marcel, in describing his activities, suggesting that they remained overnight on the Brazel ranch and went out the next morning, suggests a time line that put Brazel into Roswell on Sunday, July 6. After spending all day in the field, Marcel returned, arriving in Roswell, late on the evening or early in the morning of July 8, and then briefing Blanchard quite earlier. 1. 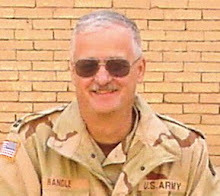 Lieutenant Warren Haught [Walter Haut], public relations officer at the Roswell base, released a statement in the name of Colonel William Blanchard, base commander. It said that an object described as a “flying disk” was found on the nearby Foster ranch three weeks ago by W. W. Brazel and had been sent to “higher officials” for examination. 2. Brigadier General Roger B. Ramey, commander of the 8th air force, said at Fort Worth that he believed the object was the “remnant of a weather balloon and radar reflector,” and was “nothing to be excited about.” He allowed photographers to take a picture of it. It was announced that the object would be sent to Wright Field, Dayton, Ohio, for examination by experts. 3. Later, Warrant Officer Irving Newton, Stessonville, Wisconsin, weather officer at Fort Worth, examined the object and said definitely that it was nothing but a badly smashed target used to determine the direction and velocity of high altitude winds. 7. Brazel told reporters that he had found weather balloon equipment before but had seen nothing that resembled his latest find. This then, gives an outline of the events of July 8 based on the available documentation including newspaper reports, interviews conducted with the principals in the story, and a timeline that was reconstructed more than a half century after the incident. I think that you all can draw your own conclusions about what it means, but the information here is the latest available. I will note that as I went through this I did find a couple of places where the footnotes were inaccurate. In one instance, I sourced the Albuquerque Journal when it was the Albuquerque Tribune. I have tried to make sure that everything is accurate but some questions still might arise. Those will be dealt with as they appear. “AP Wires Burn With ‘Captured Disk’ Story,” Daily Illini, July 9, 1947, p. 5. FBI Telex, July 8, 1947. “AP Wires Burn With ‘Captured Disk’ Story,” July 9, 1947, p. 5. Johnson, personal interview with Randle, March 24, 1989. Johnson, claimed authorship of “’Disk-overy’ Near Roswell Identified as Weather Balloon by FWAAF Officer,” Fort Worth Star-Telegram, July 9, 1947. He would later deny that he had written the article. “AAF Finds ‘Saucer’, But Wishes it Hadn’t,” The Boston Herald, July 9, 1947, pp. 1 – 2. “New Mexico Rancher’s ‘Flying Disk’ Proves to Be Weather Balloon-Kite,” Fort Worth Star-Telegram, July 9, 1947, p. 1. This is from a later edition of the July 9, 1947, newspaper and adds details that were not reported in the earlier edition. This is from the United Press teletypes provided by Frank Joyce. “New Mexico Rancher’s ‘Flying Disk’ Proves to Be Weather Balloon-Kite,” Fort Worth Star-Telegram, July 9, 1947, p. 1. Jason Kellahin, “NM Rancher Sorry He Said Anything About ‘Disc Find,’” Albuquerque Tribune, July 9, 1947, p. 2. As noted earlier, it was about 2:30 p. m. (MST) that Blanchard announced his leave. It seems to be a strange time to begin a leave, especially when it is about the same time that all the interest developed, based on the time lines published in 1947. Major Edwin Easley, Provost Marshal at the RAAF in July 1947, in a telephone interview with Randle, February 1990. “Disc Mystery Is ‘Solved’ For Three Hours Until Roswell Find Collapses,” Albuquerque Journal, July 9, 1947, pp. 1 – 2. 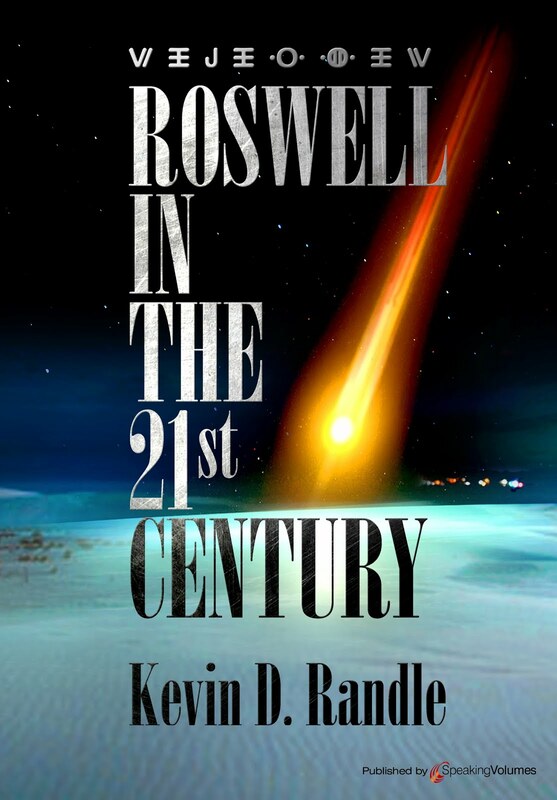 Pflock, Roswell: Inconvenient Facts, p. 26; Philip Klass, Real Roswell Cover-up, pp. 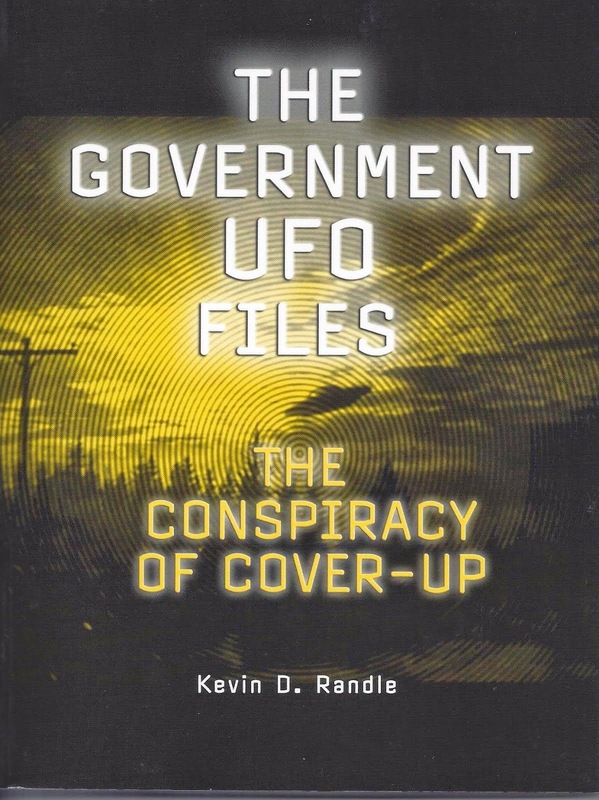 31 -32; Randle and Schmitt, UFO Crash, pp. 68 -76; Walter Haut personal interview by Randle, April 1, 1990. Joyce would suggest that after he received the press release, he called Haut and warned him that the wording of it was incorrect. It had to do with who was issuing the release and what it said. Joyce claimed he warned Haut that he would get into trouble based on that wording. Walsh worked at the other Roswell radio station, KSWS. George Walsh, affidavit signed September 13, 1993. Pflock, Roswell: Inconvenient Facts and the Will to Believe, p. 62. Art McQuiddy, personal interview by Randle, January 19, 1990. Given the sequence of events, based on time lines published in other newspapers and interviews conducted with other witnesses, the telephone calls to McQuiddy probably didn’t start for two hours. He, like others in Roswell said that he received telephone calls from all over the world, mentioning London, Rome, Paris and Hong Kong. McQuiddy, personal interview by Randle, January 19, 1990. We have no information how long the story was in Albuquerque, how it was vetted, or how long it took to type it into the news wire. “AP Wires Burn With ‘Captured Disk’ Story,” July 9, 1947, p. 5. Although the Daily Illini story gives all times in relation to the Associated Press, the line quoted at the beginning for the article is actually from the United Press International. “AP Wires Burn With ‘Captured Disk’ Story,” July 9, 1947, p. 5, which only published the first line of the story, and had attributed it to the Associated Press. Frank Joyce retained the teletype copy which he had sent to the United Press. He provided copies of these documents to various UFO researchers including Randle, Schmitt, Carey, and Pflock. See also, Pflock. Roswell: Inconvenient Facts, pp. 244 – 248; Randle and Schmitt, Truth About, pp.46 - 50. J. Bond Johnson, personal interview by Randle, February 27, 1989, March 24, 1990; Johnson in interviews conducted by Bill Moore and Jaime Shandera would later change much of his story. For these alternative views, see, Shandera and Moore, “Three Hours that Shook the Press,” Focus, 1990, 3 – 7; Shandera and Moore, “Three Hours that Shook the Press,” MUFON UFO Journal 269, September 1990: 3 - 10; Schmitt and Randle, “What Happened in Ramey’s Office?” MUFON UFO Journal 276, April 1991: 3 – 9. Years later, both George Walsh and Frank Joyce would claim credit for breaking this story. It would seem that Walsh put the story on the AP wire, which did get it out nationally first. Joyce, a stringer for the United Press had to take the story to the Western Union office for transmittal to Albuquerque. Documentation suggests that the AP story hit the wires about fifteen minutes before the UP story, which gives the nod to Walsh. Johnson, interview by Randle, March 24, 1989. Ibid. For additional information see Schmitt and Randle, “Fort Worth, July 8, 1947: The Cover up Begins,” International UFO Reporter, 15,2, March/April 1990; 21 – 23; Schmitt and Randle, “The Fort Worth Press Conference: The J. Bond Johnson Connection,” International UFO Reporter, 15,6, November/December 1990: 5 – 16. Shandera. “Three Hours that Shook the Press,” MUFON UFO Journal 269, September 1990: 3 - 10. Ibid. The problem is that the PIO would have been in the office. In other interviews, Irving Newton suggested he was there when all the pictures were taken, which would mean that Johnson saw him as well. Johnson’s claim that only Ramey and DuBose were there does not hold up when other information is considered. “Suspected ‘Disk’ Only Flying Weather Vane,” Dallas Morning News, July 9, 1947. Irving Newton, telephone Interviews with Randle, October 20, 1989, March 24, 1990 and January 1991. See also, Weaver and McAndrew, The Roswell Report, Statement Thirty (Irving Newton). A similar account is found in Berlitz and Moore, The Roswell Incident, pp. 31 – 37. Newton, personal telephone with Randle, January 1991. See also, Randle and Schmitt, Truth About UFO Crash at Roswell, pp. 42 – 43. It should be noted that Newton was not sure about the time and had suggested it was just after he had come on duty at 2:00 p.m., but the documentation available suggests that Newton was called to Ramey’s office about 6:00 p.m.
 Weaver and McAndrew, The Roswell Report, Statement Thirty (Irving Newton).